A rebound in February’s new housing price index failed to dent the Pound Sterling to Canadian Dollar (GBP/CAD) exchange rate on Thursday. Although the index recovered from January’s contraction with growth of 0.1% this was not enough to give the Canadian Dollar (CAD) any particular boost. Worries over the outlook of the wider Canadian economy remain in spite of this sign of resilience within the domestic housing market, leaving CAD exchange rates under pressure. The International Monetary Fund’s (IMF) latest warnings over the health of the global economy also discouraged investors. With market risk appetite generally deteriorating, especially in the face of positive US labour market data, the mood towards the Canadian Dollar naturally soured. Even so, Pound Sterling (GBP) struggled to capitalise on the softness of the Canadian Dollar thanks to ongoing anxiety over Brexit. Although Theresa May agreed a fresh extension of the Brexit deadline with EU leaders at Wednesday’s crunch summit this failed to encourage any particular sense of market optimism. Investors were disappointed that the extension was not as long as initially hoped, only lasting until the end of October rather than a full year. While the UK is no longer at risk of crashing out of the EU without a deal on Friday a sense of uncertainty looks set to hang over the economy for the foreseeable future. As Brexit anxiety has already provoked significant disruption businesses were not entirely relieved by the idea of facing yet more months of uncertainty. ‘This period may not be long enough to break the deadlock in the UK. Market risk aversion could help to limit the downside pressure on the GBP/CAD exchange rate ahead of the weekend, however. Any fresh signs of weakness in the latest raft of Chinese growth data may weigh heavily on the risk-sensitive Canadian Dollar. 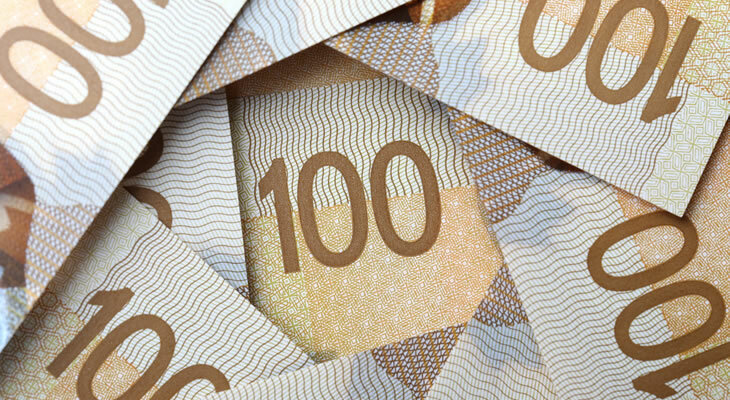 If the world’s second largest economy continues to show signs of faltering investors are likely to continue selling out of the Canadian Dollar on Friday. However, as long as the UK Parliament remains at an impasse over the Brexit withdrawal agreement the Pound may struggle to capitalise on any weakness in its rivals. With Conservative MPs still expressing discontent over the Brexit delay Theresa May’s position remains fragile. As long as markets see a heightened risk of a fresh UK general election in the months ahead the GBP/CAD exchange rate looks set to lose further ground.